Donald R. Hopkins is the special advisor for Guinea worm eradication at The Carter Center. He previously directed all of The Carter Center's health programs. He first joined the Center in 1987 as the senior consultant for the health programs, where he led the Center's efforts to eradicate Guinea worm disease and river blindness worldwide. Dr. Hopkins's professional experience includes serving as deputy director (1984-1987) and acting director (1985) of the Centers for Disease Control and Prevention. He was an assistant professor of tropical public health at Harvard School of Public Health, and he directed the Smallpox Eradication/Measles Control Program in Sierra Leone, West Africa. Dr. Hopkins attended the Institute of European Studies at the University of Vienna. He received his Bachelor of Science from Morehouse College, his Doctor of Medicine from the University of Chicago, and his Master of Public Health from the Harvard School of Public Health. He is board certified in pediatrics and in public health and has been a member of seven United States delegations to the World Health Assembly. Dr. Hopkins has authored numerous articles for scientific journals and textbooks on a wide variety of public health subjects, including smallpox, yaws, onchocerciasis (river blindness), and dracunculiasis (Guinea worm disease). He is the author of Princes and Peasants: Smallpox in History, which was nominated for a Pulitzer Prize in 1983 and was reissued in 2002 with the title The Greatest Killer: Smallpox in History. 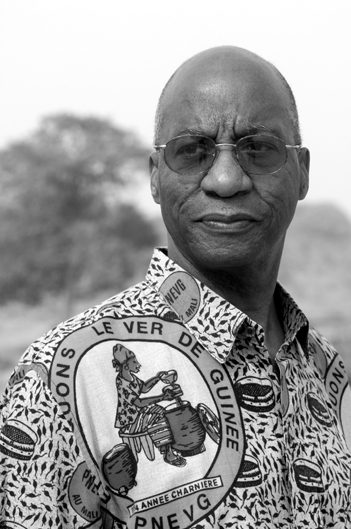 He has received numerous awards, including the CDC Medal of Excellence, the Distinguished Service Medal of the U.S. Public Health Service, and a MacArthur Fellowship in 1995 for his leadership in the international campaign to eradicate Guinea worm disease. Currently he serves on the MacArthur Foundation's board of directors. Dr. Hopkins has been also awarded several honorary degrees including Doctorates of Science from Morehouse College (1988), Emory University (1994), Morehouse School of Medicine (1999), and Harvard University (2013), and an honorary Doctorate of Humane Letters from the University of Massachusetts-Lowell (1997). He has been made an honorary chief in three traditional areas of Nigeria: Akoko South (1994), Aninri (1998), and Ikwo (1998). Dr. Hopkins was also elected a member of the National Academy of Medicine in 1987 and has been a member of the American Society of Tropical Medicine and Hygiene since 1965. He was elected a fellow of the American Academy of Arts and Sciences in 1997, inducted as a Knight of the National Order of Mali in 1998, awarded the Medal of Honor of Public Health (Gold) by the country of Niger in 2004, and named a Champion of Public Health by Tulane University in 2005. In 2007, Dr. Hopkins received the Mectizan Award from Merck & Co. Inc. and the Mectizan® Donation Program for his outstanding contributions to fight river blindness and lymphatic filariasis and the James F. and Sarah T. Fries Foundation Prize for Improving Health for his work to eradicate Guinea worm disease. In 2012, Dr. Hopkins received the Pumphandle Award in honor of his outstanding contributions to applied epidemiology from the Council of State and Territorial Epidemiologists, a professional association of over 1,000 public health epidemiologists working in federal, state, local, and tribal health agencies, and U.S. territories.